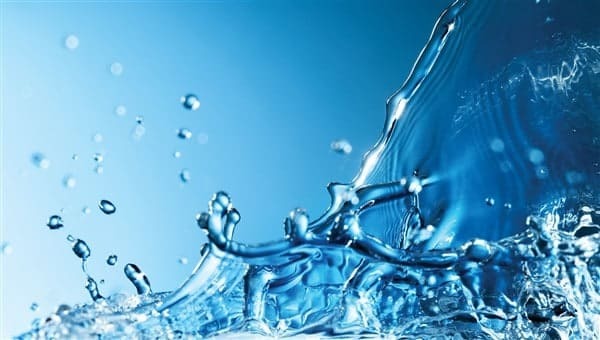 Water is an integral part of modern life. However, low water pressure causes irritation and frustration. Every daytime work you do with water takes more time and can be extremely cumbersome. From the water company’s facilities to your home and home plumbing, there are several things that can lead to pressure loss at the outlets. You need to contact the utility and seek their help if the pressure at the inlet to your home is confirmed to be low. If you have ever looked at your water bill and wondered how it got so high, you are not alone. In a typical household, more than 6,300 gallons of water are wasted each year. Water conservation is not only important for your budget, but also for the environment. The average family of four uses 260 gallons of water every single day. By making a few small changes in our lifestyles and in our water consumption, we can conserve thousands of gallons of water per year. PVC pipe is a versatile pipe form that has revolutionized modern plumbing installations. PVC can be used for drainage, sewer or ventilation, but it is not suitable for water supply. In this case, the copper tube is the most used. PVC stands for polyvinyl chloride, a compound designed for strength and durability. It is resistant to corrosive substances in detergents and other household chemicals, as well as to the extremes of hard and soft water. It resists leaks and does not conduct electricity. For these reasons, it is the common choice for modern plumbing facilities and for the replacement of old plumbing installations. You can get different lengths, sizes, and diameters of PVC pipe. 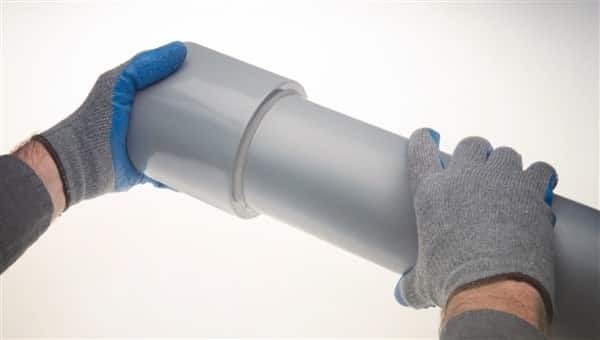 The pipes are designed to fit and secure with solvent adhesive. PVC pipes are measured in their internal diameter. Coupling is the term used to describe a connection between two pieces of PVC pipe, especially when connecting without an angle. The connections can have different degrees, but usually, they are 45 and 90 degrees. An angled connection is commonly known as an elbow. There are transition pieces available to allow connection to other types of pipes. A threaded adapter is available, which allows the connection of threaded galvanized pipe. To connect to a non-threaded metal pipe, a gasket can be used, which is screwed into both ends of the pipe and then clamped with stainless steel clamps. When installing PVC pipes, wear eye protection and a mask. Cut with a PVC hand saw and use a deburring tool or the tip of the saw to remove corners and edges, especially from inside the pipe. The pipes must be dry fitted to ensure they are connected well before applying solvent cement. Mark exactly where the pipes should be connected. Once you have applied cement, you must act fast. First, a primer is applied, which cleans the area and initiates a chemical reaction with the pipe. Distribute the primer on the outside of the pipe and inside the connection. Then distribute the cement over the same areas of the pipe. After applying the cement, insert the tube and hold it for a few seconds until the cement has hardened. Always work in a well-ventilated area and wear a face mask since these chemicals can have a strong odor. Run some water through the connection to make sure a good seal has been made. PVC pipes are extremely versatile and robust, and creative home improvers can find many projects related to their use, such as birdhouses, storage, hanging planters and more. Here are some tips for working with PVC pipes. Make sure you are always measuring your PVC pipe at the bottom in each of the adjacent fittings. This will ensure that the pipe fits very well in the lower part of the connection, thus maximizing the area that will join to form a seal. After measuring, mark the PVC pipe with a permanent marker, then cut. PVC pipes can be cut with almost any saw. It can either be a hack saw or even a miter saw. You must be careful to make the cut as straight as possible to ensure a good fit. You can also get PVC cutting tools with hand ratchet that you can use for the job. When cutting the pipe, it leaves burrs and plastic flakes on the ends of the pipe. Be sure to remove them to make sure that the contact surfaces between the pipe and fittings are clean. Burrs can usually be removed by hand or with the edge of a utility spatula or knife. The first thing to do is clean the pipe with a primer. Brush the primer around and the inside of the fittings to make sure there are no contaminants in the adhesion. PVC is combined with a special type of cement. Cement is easy to set up quickly, so it can be ready for use immediately after application. Coat the fittings inside surface with cement, insert the pipe and rotate the pipe one half turn, if possible, and then turn it back to make sure the adhesive has covered the entire fitting. Make sure that the pipe is well seated in the fitting to ensure adequate adhesion. Because there is only a limited time after the adhesive has been applied to install the pipes and fittings, you must first check all the parts before you begin. When all the fitting has dried out very well, make a mark on each link of the fittings and create a record line that shows where each pipe and fittings should be aligned. If you are assembling the fittings make sure you are simply placing them in position until the registration marks match. The assembling process begins with the preparation of the surfaces to be joined. PVC primer is a product specially developed to clean and “burn” smooth plastic surfaces to improve the chemical bonding process. Clean the pipe and fitting with a clean cloth and brush the primer around the fitting and pipe to remove dirt and stains. Make sure the surfaces are ready. After all the fittings and pipes are clean, the assembly is done one after the other. Apply generously a layer of solvent adhesive both on the outside of the pipe and on the inside of the first fitting. After applying the adhesive, push the pipe into the fitting until the end of the pipe touches the bottom of the center of the fitting. Turn the pipe from side to side in the sleeve to disperse the solvent. If you have created registration marks in the union, make sure that the markers are aligned. Keep the pieces together for about 30 seconds until the compound hardens. In the industry, it is a standard procedure to let the letters of the pipe face out so that it is easy to read. This helps determine the size of the pipe and the material for the construction inspector.